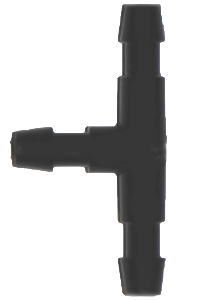 Primerus Products recommends connecting SPOT-SPITTER spray stakes directly to supply laterals using Primerus .125”x.187” tubing only and no fittings or connectors as described in the SPOT-SPITTER Instructions for Use. However, insert fittings can provide additional convenience and flexibility in specific applications. 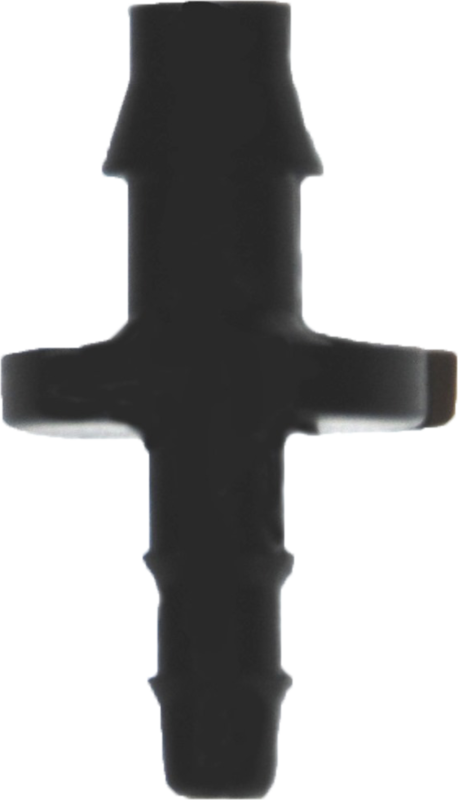 Primerus completes its line by providing a selection of insert fittings that are ideally suited for use with the SPOT-SPITTER and other 1/8” irrigation components. Ideal for use as a lateral takeoff for .125” tubing, providing a faster and more consistent connection than the standard SPOT- SPITTER takeoff without fittings. Use with the Primerus Hole Punch and Primerus .125” x .187” tubing. Can also be used as a reducer from .170”x.250” to .125”x.187” tubing. 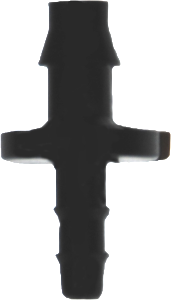 Coupler for Primerus 1/8″ spaghetti tubing. Use as a repair coupling or to extend the length of existing feeder tube. Streamlined design results in unobtrusive appearance and easy coiling and uncoiling of spliced tubing. Not for use as a lateral takeoff – use CON-R170125-100 for this purpose. Standard .125”x.125”x.125” Insert Tee. Use with Primerus .125”x.187” tubing. Not for use as a lateral takeoff. 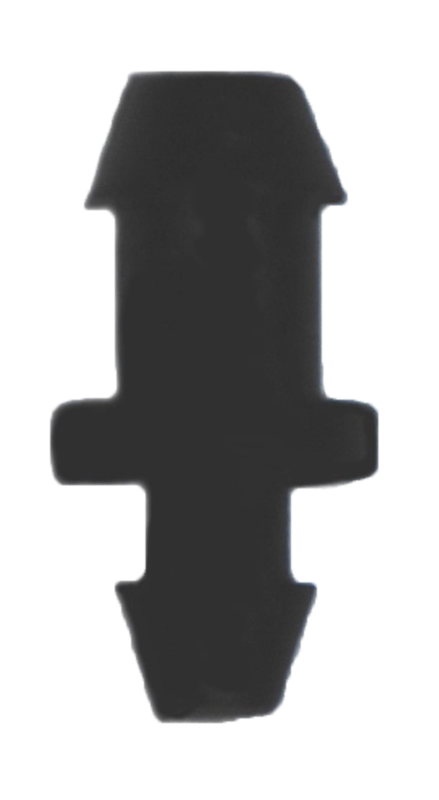 This two-sided goof plug has multiple uses for plugging holes in supply lines. Use the small end to plug holes in lateral tubing made by the Primerus Hole Punch. 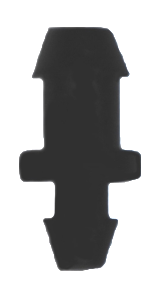 Use the large end to plug holes made for ¼” barb devices.